APR Newscast Wednesday, March 2, 2016 4:32 p.m.
Two tornados ripped through parts of Jefferson County. The tornado was rated EF2 by a survey crew in Bessemer from the National Weather Service this morning. There was also EF1 damage near McAlla. Matt Grantham is a Meteorologist for the National Weather Service in Birmingham. He described what path the tornado took. Several buildings and homes were damaged with winds up to 120 mph. no deaths were reported but four people were injured. Alabama's last totally dry county is going wet. Residents in the Clay County cities of Ashland and Lineville voted last night to legalize alcohol sales. Alcohol sales will still be illegal outside the cities. But the vote means alcohol can now be sold legally in at least part of each of Alabama's 67 counties. Opponents argued against legalizing alcohol sales on moral and public-safety grounds. But supporters say allowing the sale of alcoholic beverages will help stimulate business in the rural, east Alabama county. Bootleggers have operated in Clay County for years, and possession of small amounts of alcohol in the county has been legal. U.S. 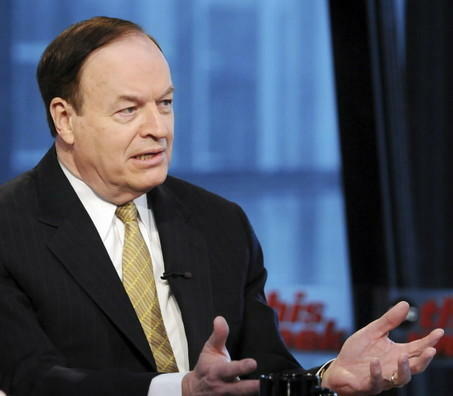 Senator Richard Shelby handily defeated four Republican opponents in yesterday’s Super Tuesday primary. The Associated Press declared the veteran lawmaker the winner, even though only fifty eight out of sixty seven counties had reported in. That total gave Shelby sixty five percent of the vote. The Republican lawmaker shook hands and posed for pictures with supporters at Tuscaloosa’s Embassy Suites Hotel. Shelby will face Democrat Ron Crumpton of Pelham in November. The Senator’s name has been mentioned to become chairman of the Senate Appropriations committee. He heads the banking committee and once led the intelligence committee.